Rev. A. T. Chester, D.O. Dec. 7, 1824 - Feb. 27, 1895. 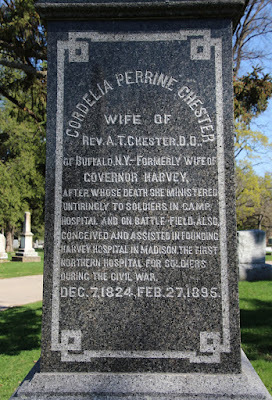 Cordelia Perrine (Harvey) Chester is buried in Lot 2 (see map below) of Forest Hill Cemetery, 1 Speedway Road, Madison, Wisconsin 53705. 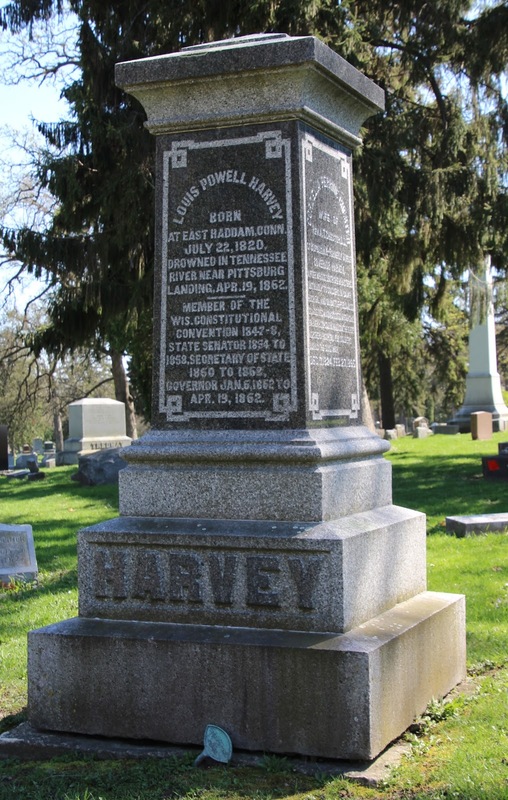 See also, [Governor] Louis Powell Harvey Burial Site, also at this location. Cordelia A. P. Harvey; Engraved by A.H. Ritchie. 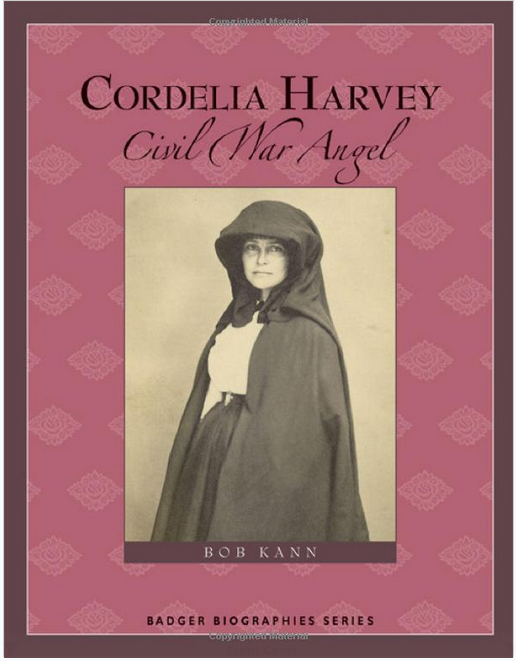 Cordelia Harvey is nonetheless a interesting, heartbreaking, inspiring read. Click here to learn more / order a copy. Cordelia's headstone is on the right. Wisconsin Governor Louis Powell Harvey. Cordelia Harvey is buried in Section 2 of the cemetery. Forest Hill Cemetery in Madison, Wisconsin.